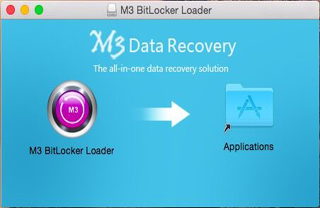 M3 Mac Bitlocker Loader is a professional Bitlocker To Go reader alternative software for Mac users. M3 Mac Bitlocker Loader allows you to unlock, open, decrypt Windows Vista/7/8/10 Bitlocker encrypted external hard drive, USB drive, flash drive, memory card, SD card, CF card on Mac computer, and then access and read the Bitlocker protected drive on Mac Mini, Mac Pro, MacBook, MacBook Pro, MacBook Air, iMac. 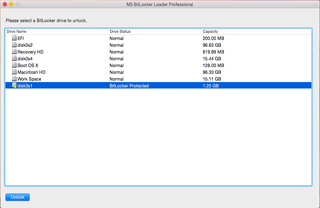 M3 Mac Bitlocker Loader not only can read Bitlocker encrypted NTFS volumes, but also can read Bitlocker encrypted FAT volumes on Mac computers. 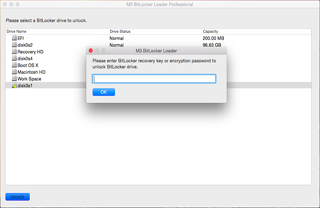 How to unlock Bitlocker encrypted drive on Mac?